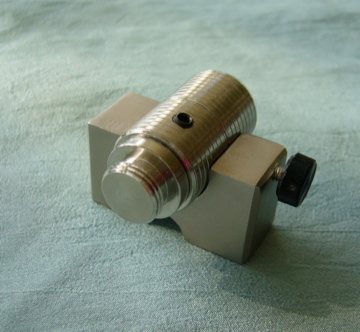 This Record clamp/weight with bull's eye level is precision- machined from solid brass. The diameter of the brass base is 43 mm with a height of 12 mm. The total height inclusive of the bull eye's level is approximately 24 mm. It's weight is about 160 gm(~5.6 oz). 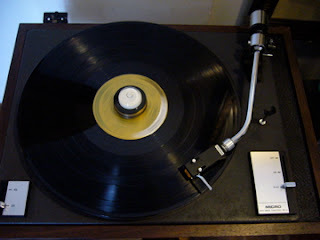 A record clamp should not be too heavy but just enough to hold the the record steady. A heavy record weight or clamp would add unnecessary load to the motor and the main bearing hub, bearing in mind the motor and bearing hub are designed to carry a specific load and anything above is considered over-load! It can be used to weigh down the record as well as for leveling the platter with the bubble level. It is suitable for all turntables. Besides it also improves the turntable performance. The record clamp is pretty cheap and is good for leveling the suspended platter......not the prettiest thing, but again does the job. Greetings Mr Lim, Rec’d the record weight and pulley today. Thank you very much for such great prices on great products. Installation was a snap, and I am very pleased with the sound, Thank you again. 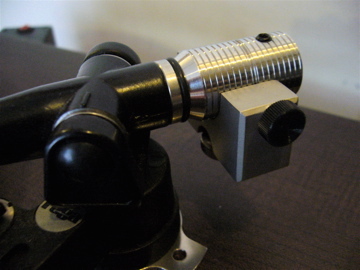 The record clamp also gives more details. I got a lot of quality for very little money. 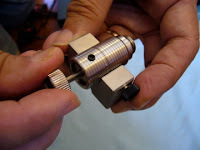 "The weight is simply plonked over the centre spindle on top of the vinyl record with no irritating screwing in, twisting, or pressure fitting which record clamps involve. This allows record changes without the need to stop the motor. The weight brought a better sense of ease and focus to the sound, its effect much subtler than with the platter substitute, but still worthwhile. It seemed to work more noticeably with the more transparent sounding Radius V, though, for which I will probably buy it." Also available in ALL stainless steel look! This stainless steel counter-weight (model CWT) is specifically designed for Rega turntables (Planar 2/3. P1, P2, P3, P3-24, RP1, RP3, RP6, P5, P7, P9, P25 ...) and tonearms ( RB100, RB101, RB220, RB250, RB251, RB300, RB301, RB303, RB330, RB600, RB700, RB1000 ). 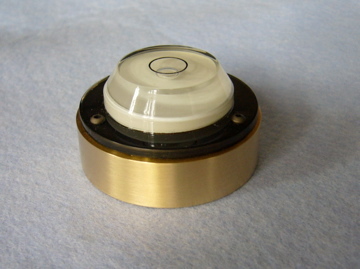 Care has been taken in the designing of this counter weight so as to bring the weight in line with the cartridges, lowering the centre of gravity, thus improving the sonic performance. 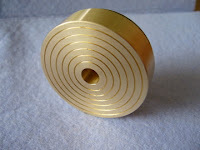 The anti-resonance counter-weight adaptor further enhance the sound effect. This counter-weight is extremely flexible in design. In addition to the basic counter-weight, one or two thumb-screws (combinations of 4.5g, 9.5g and 14.5g) could be attached to the bottom of the counter-weight or/and the end of the stub which makes it simple for switching to heavier cartridges (e.g. Denon 103/103R and Dynavector 10x5). By adding a suitable thumb-screw weight, you can achieve various requirements for different cartridges without having to change to a new counter-weight. The thumb-screw weight at the end stub also facilitates fine VTF adjustment. 1. It retrofits all stock Rega stainless-steel end-stubs including integral RB101 end-stub in case you do not wish to remove the stock stub. 2. Easy fine VTF adjustment. 3. No problem with the lid as the CWT is even lower than the stock counterweight. It's Bob in Michigan. I received the counterweight yesterday.It was a very easy setup, and looks great. The difference on my heavily upgraded P3-24 was readily apparent in the bass,which was more taut and better defined. As impressive ,if not more so, was the difference in the soundstage. It was more detailed,more space between instruments, and a better sense of the recording space. The fine tune adjustment was a real help in zeroing in on the right tracking force . Thank you for such a well- designed product! Following the success (beyond my expectations!) of the under slung counterweight for my Rega RP40, I am keen to proceed with the double pulley and aluminium sub platter upgrades next. 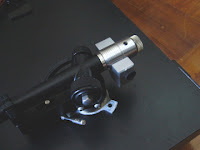 By the way, the counter weight (CWT) was bought primarily to allow the original lid to fit over my newly fitted Ortofon 2M Blue cartridge, which needed your spacer (from my last TT) to raise the arm from the supplied Rega cart. I have read many times that this is a common problem with Rega. What was the biggest surprise however, was the sonic difference - even after reading other users results on your site, the greater overall clarity, bass depth, individual instrument definition, and lowered noise floor took me completely by surprise. Looking forward to the next tweak! 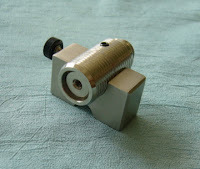 I replaced the plastic end-stub and counterweight with Michael Lim’s steel end-stub and underslung counterweight. There was a dramatic difference - the low bass went deeper with more definition and the mid and upper-bass filled up to give the music lots more body and richness while retaining the RB250’s inherent transparency. Under-slung counterweight added to my RB 300 tonearm. I was amazed at how much this mod alone improved the resolution of my Ortofon 2M Blue, increasing dynamics, low end heft and adding a much more refined top end, even before adding the additional mods. The under-slung counterweight was damn good, a lot of improvement, bass was just fantastic ... Thanks! Spent the afternoon listening to various records. I adjusted the vtf by ear and feel. First off, better definition across the board. Images more solid. There's even slam! I did install counterweight in my Rega RP3 and it worked a treat thanks. Finally got the under slung weight hooked up after so many months with good results especially on the bass. Your counterweight is a great improvement! All is cleaner and base is now controlled! I Received the Counterweight in the mail today and the first thing I did was rushed upstairs to put a reference lp on to listen to what I have now , and then I put your counterweight to hear the difference. Since I basically have minimal noise floor, and no kind of electro-magnetic interference from anything , the sound was great before, but after I put the Counterweight on, The sound became greater. Everything evened out along the entire spectrum. The heights are high, the midrange is perfect, and the base was picked up a little more. It is true that what you don't have, you don't really know what you are missing; the muddy sound that I first listened to in the beginning before all the mods were performed are gone. On thing that I noticed most of all, was the bass became more vibrant, tight, and clear. Your underslung counterweight now runs about a year on my RP3 with a Ortofon 2M Black+Dr. Fuss-PSU. It's only a pleasure : colourful midrange, deep soundstage, punch und a powerful bass-performance. Every vinyl I haven't heard with this set-up before, it's a surprise!!! Amazing!. Thank you so much! 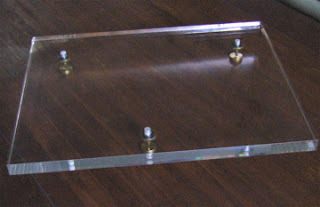 As all the turntables are subjected to interference from the environment, isolation platforms are necessary for unsprung (e.g. 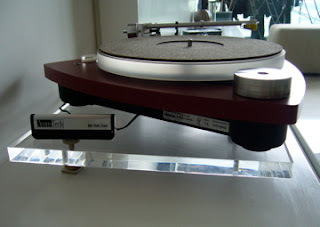 Rega P3) as well as sprung (e.g. Thorens TD309) turntables. This is the surest and easiest way to upgrade the sound of the turntables. In addition it is relatively inexpensive : from one hundred to several hundreds US dollars, depending on the makes. Pictures below are various views of the transparent pure acrylic isolation platform (model AP20m), measuring 448mm x 360mm x 20mm, weighing approximately 4kg, with three brass isolation points which are adjustable in height (also use as leveling base). 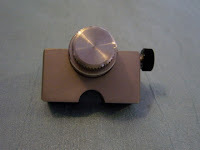 This acrylic isolation /leveling base is suitable for all Rega turntables ( Rega P1, P2, P3, P3-24, P5, P7, P9, P25, Planar 2, Planar 3) and CD players, it could be used for any other model of turntables as long as the dimensions can fit. *It is also suitable for Rega new models ( RP1, RP3, RP6 and RP8 TT's).
" The P5 benefits greatly from the isolation platform. The sound "opens" up with greater separation and imaging in the wider soundstage. It, too, is a 'must buy'....".